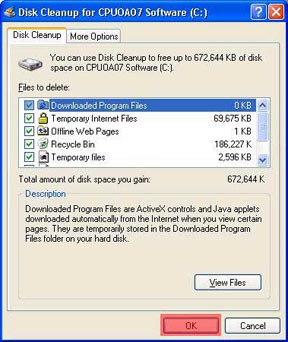 Disk cleanup is a computer utility designed to get rid of all the useless junk files on your computer. 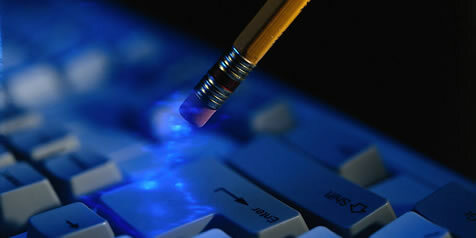 Such as downloaded program files, temporary internet files, offline webpages, recycle bin, temporary files, etc. The first thing you will need to do is locate your Disk Cleanup. It should be located in the start menu, click on all programs, go up to accessories, go down to system tools, and it should be inside there. There is a picture of this below. If your computer was purchased from CPU or has been restored by CPU your Disk Cleanup will be inside of your Utilities folder located on your desktop. Disk Defragmenter is highlighted in red. 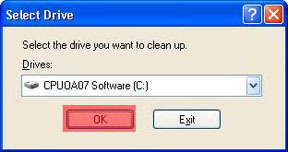 After you click on disk cleanup a window (like the one below) will appear you will need to select the software drive (this is usually drive C). After you select the proper drive click OK (highlighted in red). Now you need to select all the folders you want to clean out. After you've selected the folders click OK (highlighted in red). 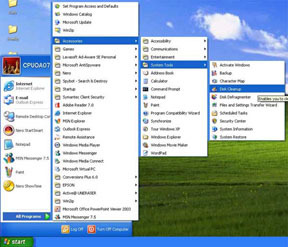 Now your computer is cleaning out your selected folders. Once it is done cleaning, this window will go away.